Many people living in the UK believe “Sushi” is healthy food but it isn’t really. Sushi actually contains a lot of calories. For us, Sushi is more like a party dish for occasions and not a daily food. So what is typical Japanese food then? I cannot simply answer this question but I can say that many traditional Japanese dishes contain one key ingredient, and this is Dashi. 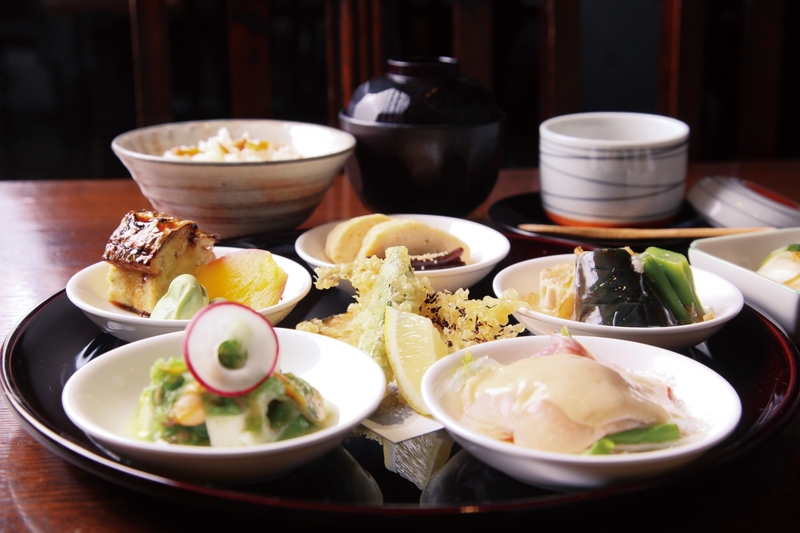 Dashi makes a dish “different” and gives it “Japanese taste” no matter what is in the recipe. It is like magic, you know! In a nutshell there are five basic tastes which give sweetness, sourness, saltiness, bitterness, and umami. Umami actually comes from two Japanese words which are umai (うまい) “delicious” and mi (味) “taste” and Dashi brings this Umami to your food, especially soup dishes. Dashi is usually made by heating water containing kombu (dried kelp), katsuobushi (dried, fermented skipjack tuna) or shiitake mushrooms to near-boiling, then straining the resultant liquid. If you are vegetarian, you can use only kombu and shiitake. You could use vegetable stock as an alternative to Dashi for the other stir-fry Japanese recipes but Dashi is the best stock to use for any Japanese soup recipes such as Miso soup as it gives it a unique Japanese taste. Making Dashi broth takes some time and many people, even Japanese, do not bother making it nowadays. That’s the reason why MSG (Monosodium glutamate, also known as sodium glutamate) has become popular as it is an easy flavour enhancer with an umami taste. But this is NOT real taste and it is not healthy at all. So what is a solution for our busy lives? Of course homemade dashi is always the best however many people use Dashi stock powder at home these days and if you choose the right one, it can still taste delicious. Actually I use a Dashi stock powder naturally made from dried and ground fish with no nasties and it’s really tasty. I can buy these things in Japan but I just wondered if I can get good Dashi stock powder here in the UK. Just recently I found a really nice, Umami Powder. The ingredients are Shiitake mushrooms, seaweed and salt, and they are all natural. I have used it in some Japanese cooking and the recipes all worked very well. Either way, if you use a good Dashi stock, you will be able to cook Japanese food with authentic Japanese taste easily for sure.